The water utility in the industrial city of Alchevsk in eastern Ukraine have made the decision to seek IFI funding for rehabilitation of a large WWTP serving the city. The WWTP, which currently treats wastewater from domestic and industrial sources, has a population equivalent of over 150,000. Interestingly the plant operators plan to sell the treated wastewater effluent to the large metallurgical in the city, the largest such plant in Ukraine. This will reduce demand on already stressed natural resources and generate a much needed revenue stream for the utility. In March 2013 Tim Westmoreland carried out a review and up-date of the project business plan to assist the utility in obtaining financial support. Krasnodon is a medium sized mining town in the east of Ukraine close to the Russian border. The local water company prepared a business plan for re-development of the pumped water supply scheme and through a GIZ municipal support project Tim Westmoreland undertook technical assessment and verification of the project proposal. This work was competed in November 2012 on behalf of GFA Consult GmbH. In November 2012 Tim Westmoreland started work on a series of three wastewater feasibility studies for the cities of Gjilan, Ferizaj and finally Mitrovica. These studies will develop a wastewater treatment priority project within the framework of the long-term development needs of the regional water companies. 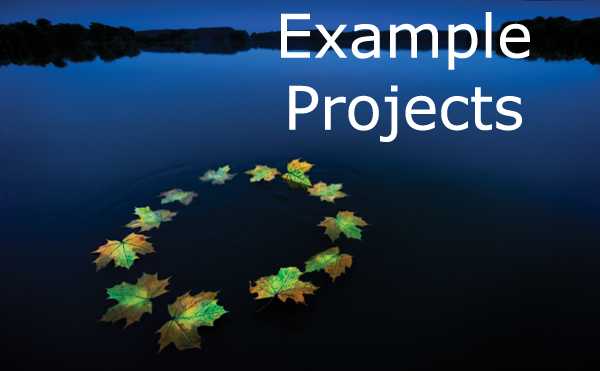 The three studies, which are part of the EU funded Infrastructure Projects Facility technical assistance programme, are expected to be complete in early 2014. During 2011 Tim Westmoreland prepared and delivered an important guidance document on the concepts behind Asset Management Planning (AMP) together with practical prodcedures that can be adopted to introduce AMP to the regional water companies in Kosovo. The guidance document, which can be previewed on this website, was specifically tailored with the Kosovo water comapanies in mind. The document formed a component of a support project, funded by the EU, to the Water & Waste Regulatory Office in Kosovo. The aim is to provide the foundations for future AMP so that water companies can better understand their asset maintenance and renewal requirements as part of the business planning process related to tariff applications. An important study was recently completed in Tirana to assess options for providing an additional 600l/s water supply capacity to the Kamza area. Kamza is a growing urban area to the north of Tirana and suffers from a lack of assessible clean drinking water - most residents take water from polluted private wells and as a result there are serious public health issues in the area. The study looked at options to finance and construct a stand-alone WTP for Kamza compared to expanding the existing Tirana WTP. A presentation of the study results was made to all key stakeholders on 12 July 2012 in Tirana. Tim Westmoreland carried the engineering and cost analysis for this study. In early July this year the new main water supply pipeline entering the city of Prishtina, Kosovo, was commissioned and put into operation. This completed over 2 years of difficult installation in the congested city centre. 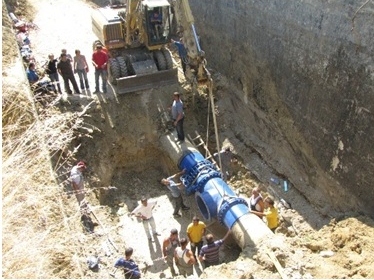 The pipe, the largest water conduit installed in Kosovo to date consisted of 1.8km of 1000mm dia. GRP pipe with numerous connections to other parts of the primary network. The pipe duplicates an existing 700mm steel pipe which was badly corroded and will provide additional capacity and supply security to the city. The pipe is important to the city water supply as it allows transfer of water from the main incoming supply to other less well served pressure zones in the city. Tim Westmoreland was the Supervising Engineer on this project from March 2011.